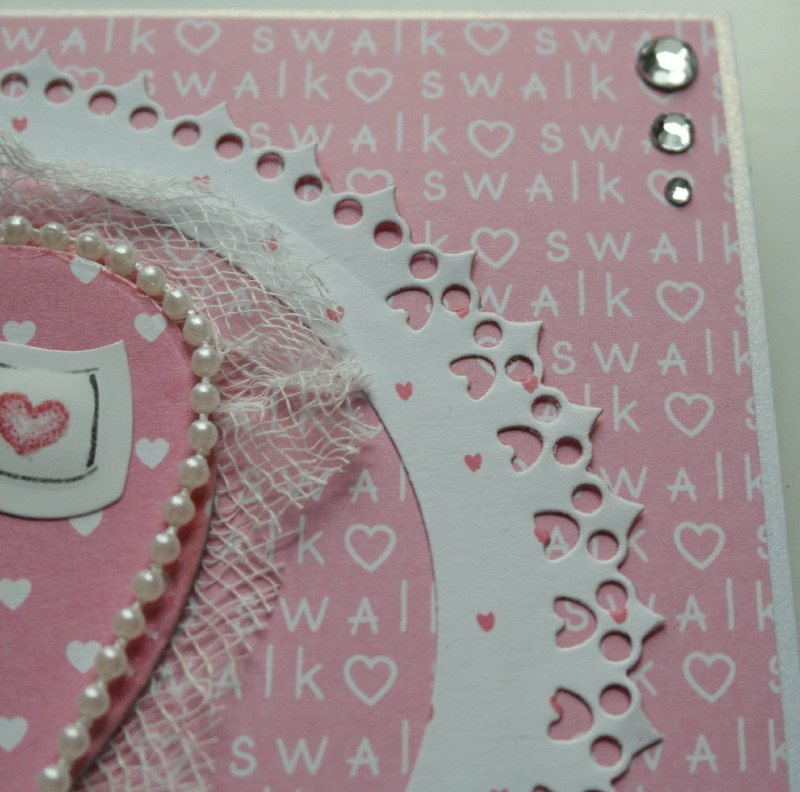 This Me To You Tatty Ted card with it's *swalk* background paper would bea perfect way to send a loving kiss, be it Valentine's, birthday, anniversary, thinking of you or just because. 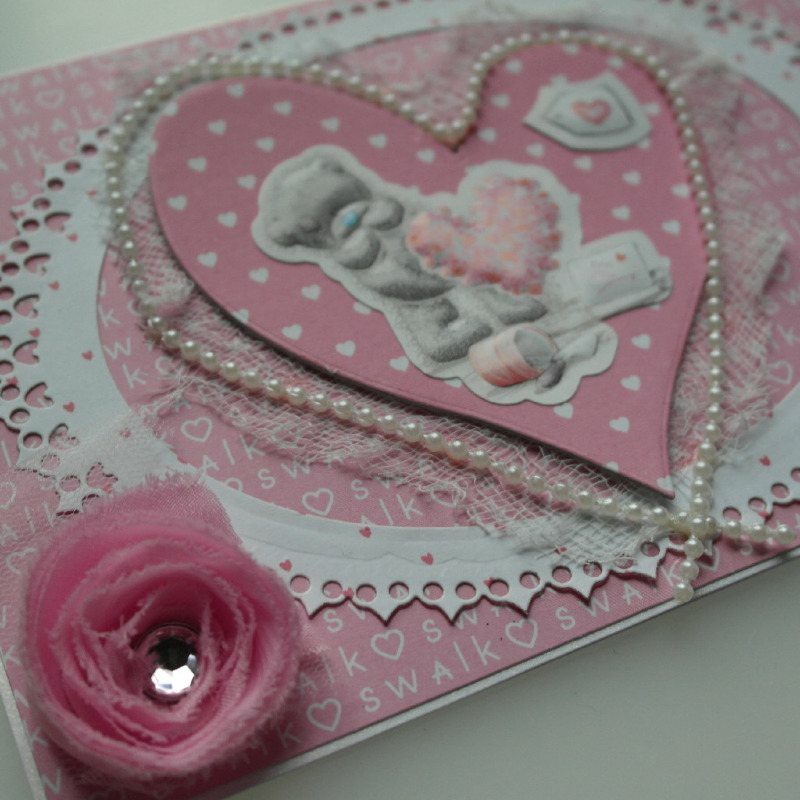 OOAK One-of-a-kind luxury handmade card, contained in its own lidded box. 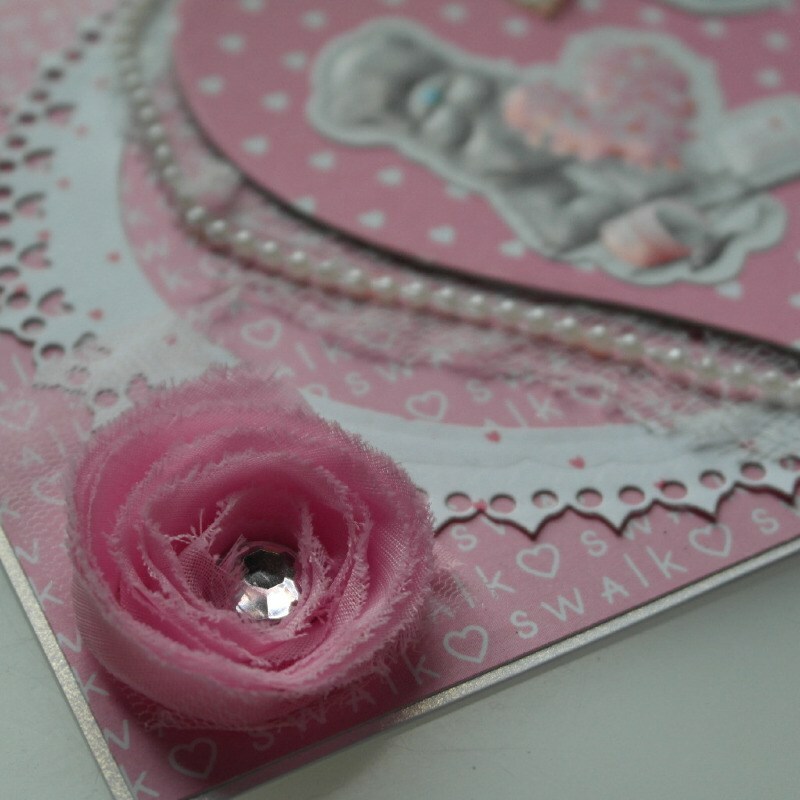 The card has a pink and white colour scheme. Contained in its own white lidded box.